Boex 3D Creative Solutions is celebrating its successful bid to design a new South West flagship showroom for global skatewear giant Vans. Competing against London-based design firms, the innovative, Porthleven-based company, run by brothers Sam and Will Boex, won the pitch to create the prestigious warehouse showroom at Indian Queens by suggesting simple, but effective, concepts to showcase the international brand’s wide range of footwear and sports apparel. Since launching their company five years ago, the brothers have developed a national reputation for their award-winning designs, and have been chosen by Cornwall Brand: an initiative which showcases the best of Cornish business to prospective clients outside the county. A unique ‘secret room’ is just one of the innovative elements of the pair’s winning design for the showroom. The hidden area displays limited edition designs from Vans’ exclusive ranges, such as Vault. “Being involved in such a large scale project for a multi-national client is always an honour,” explained Sam Boex. 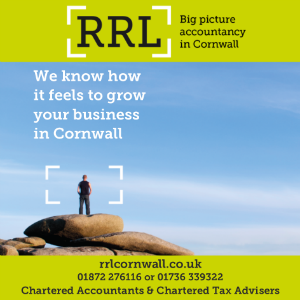 “But, as a Cornish company, we take special pride to be able to oversee and deliver it on Cornish soil. Tash O’Neil of Cornwall Enterprise congratulated the pair, and said it was their forward-looking business vision and spirit of innovation that drew the attention of the Cornwall Brand team.